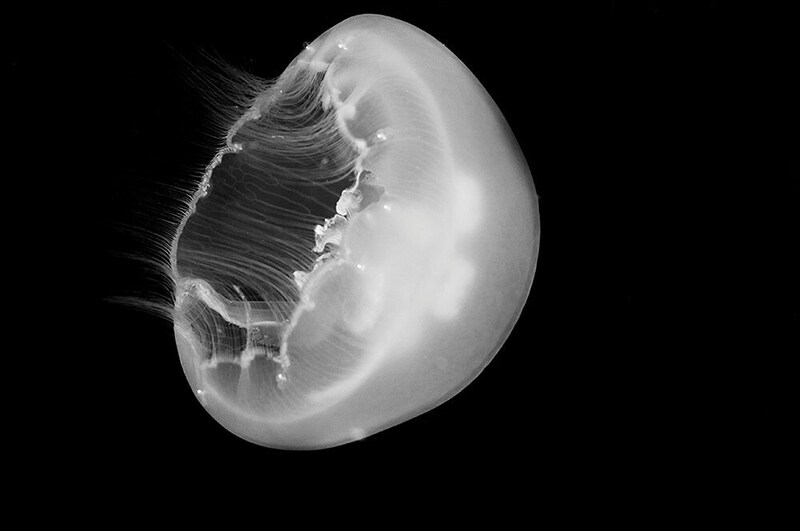 Jellyfish art black and white underwater photograph of a moon jellyfish that I photographed underwater on a recent trip to the magical Caribbean island of Saba. This is such a beautiful shot! 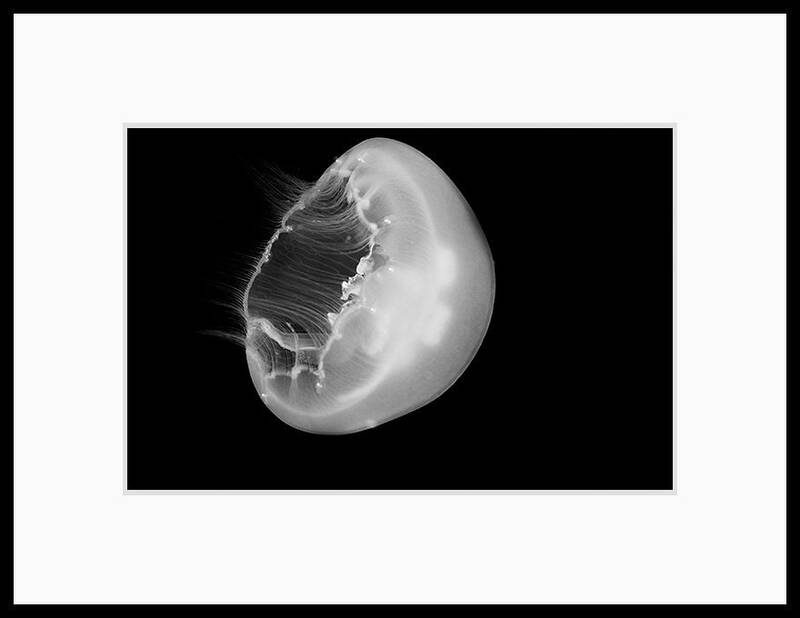 I framed it and gave it to my son who is intrigued by jelly fish and is using them as the inspiration for his work in ceramics. Thank you Terrance!